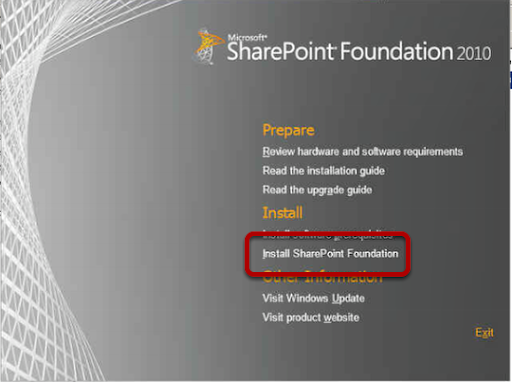 Part 1 will explain the necessary pre requisites for Sharepoint Foundation 2010 and then the installation process. Are you using SQL Server Express or SQL Server? 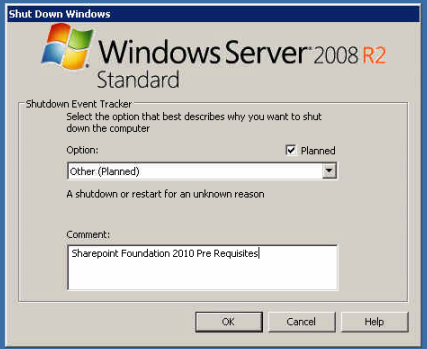 You can choose to host the databases on the free SQL Server 2008 Express of an existing SQL Server 2005, 2008 or 2012. 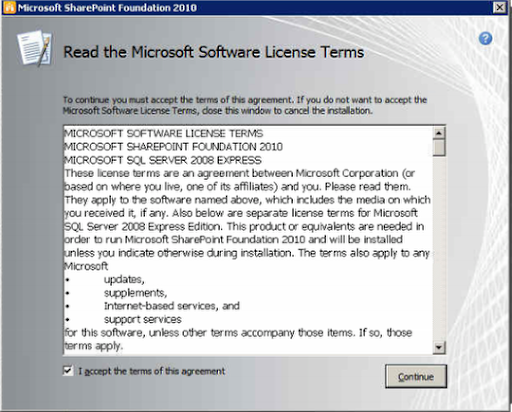 SQL Server Express has a limit for the database of 4GB or in R2 10GB so if you are planning on a permanent Sharepoint Farm then I would consider this limit for the content database. If you intend to use SQL Server you can check here the necessary version that is required. 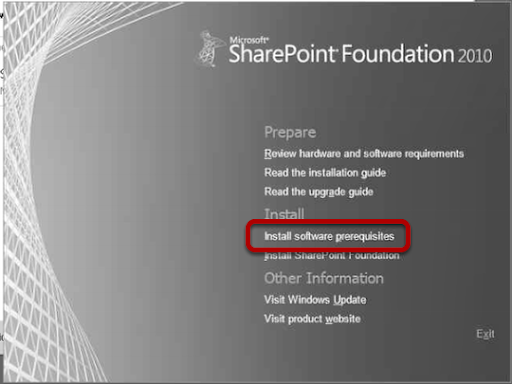 The frist step is to install the pre requisites for Sharepoint. 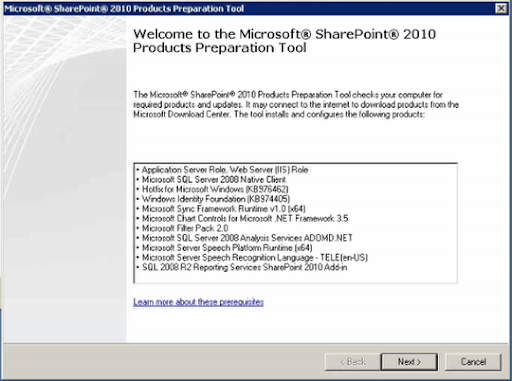 Run the Products Preparation Tool, this will install multiple applications and hotfixes that are required. 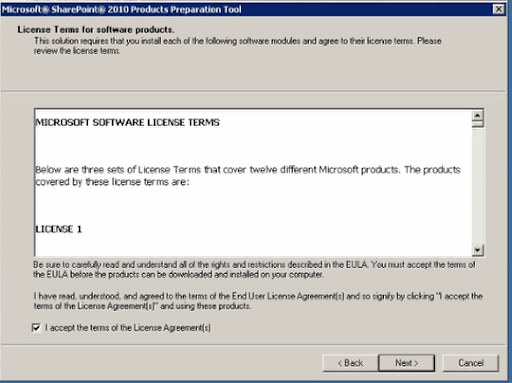 The Products Preparation Tool will not install all the applications and hotfixes. 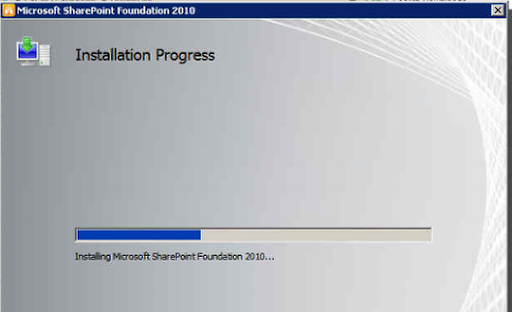 Although the Products Preparation Tool does not require a reboot, the server will require a reboot for the Sharepoint Foundation install to complete, so now is a good time for a reboot. 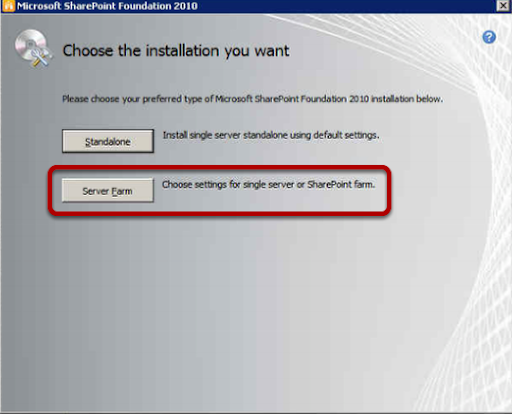 You now get to choose whether to install a Standalone or Server Farm version of Sharepoint. There are multiple reasons why you should not use the Standalone version, the most significant being that a Standalone installation cannot have other servers added later, you are limited to one server for good. The install wizard will try to get you to install a Standalone version again, watch out for this and choose the Complete option. The data location is not one you need to change, this is only where Sharepoint stores some of its key files, but these are generally around 1GB in size so there is not need to change this. 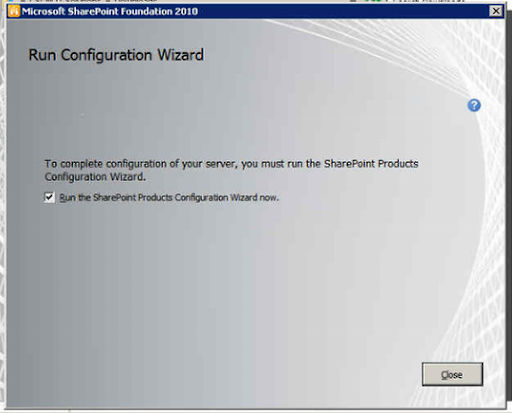 Once the installer has completed you are now ready to start the Configuration, read about this in Sharepoint Foundation 2010 - Part 2 Configuration.